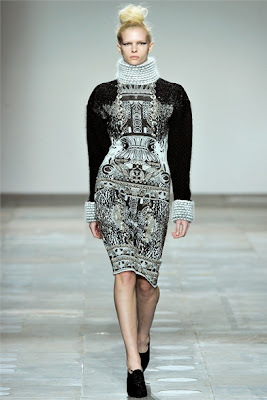 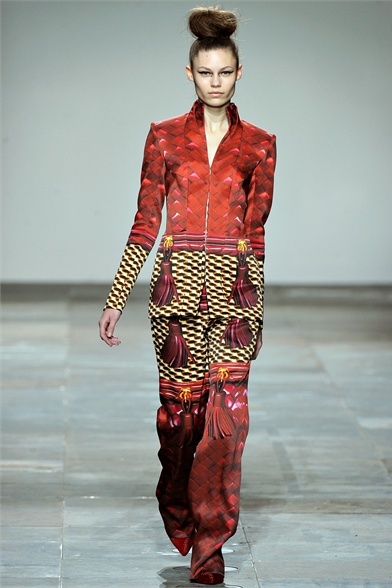 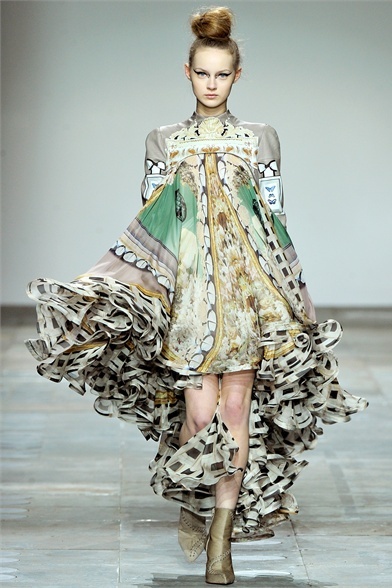 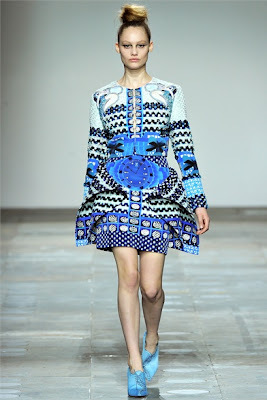 Just as the London Fashion Week AW12 unfolded on the 17th of Febraury Mary Katrantzou's name was already on everybody's motuh and headlines because of the debut of her collaboration with Toshop and the Primark's know off issue. 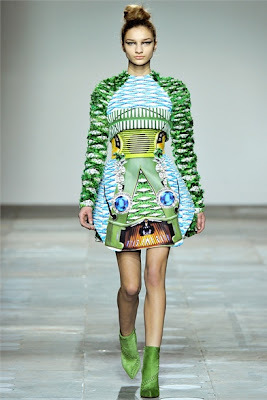 Her collections have quickly become one of the most sought after and waited for on the schedule and the one presented this morning marked another excellent step forward into Katrantzou's use of prints, fabric and silhouette. 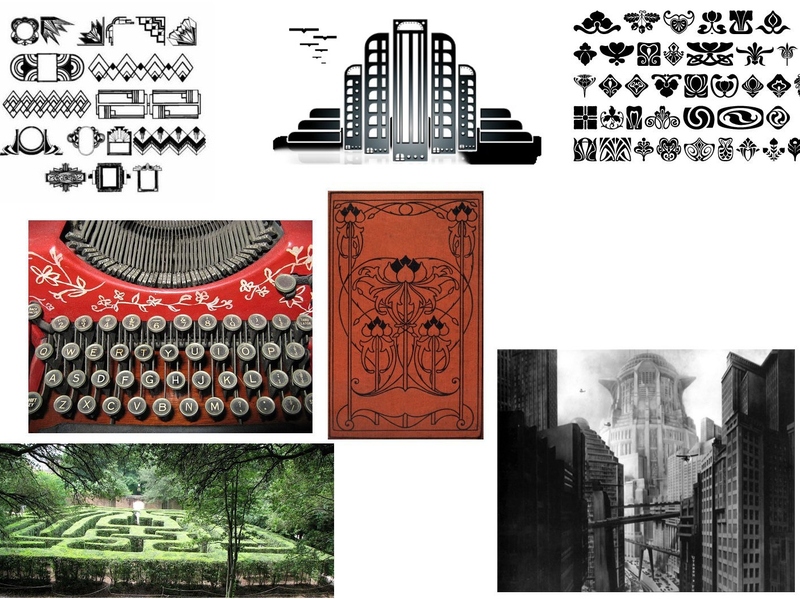 She seems to have drawn ispiration for decorative motifs of the Art Deco' and Art Nouveau period plus some geometrical and architectural points of the '30. 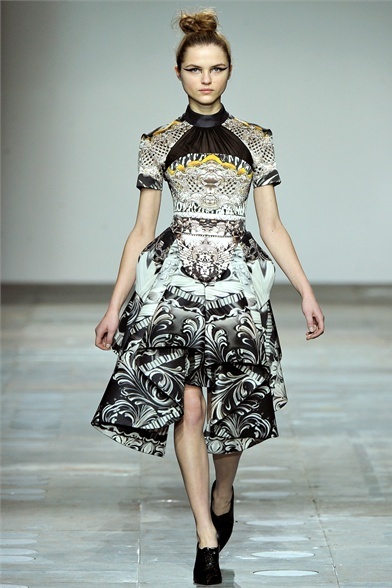 The silhouette evolved as well and next to the sharp,geometrical, layered dresses there were also some fluid, flowy ones that gave to Katrantzou's signature prints a new life. 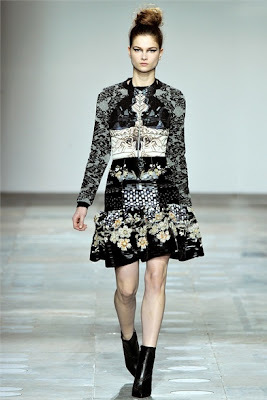 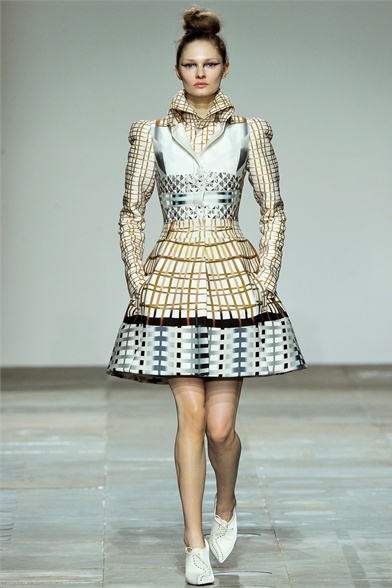 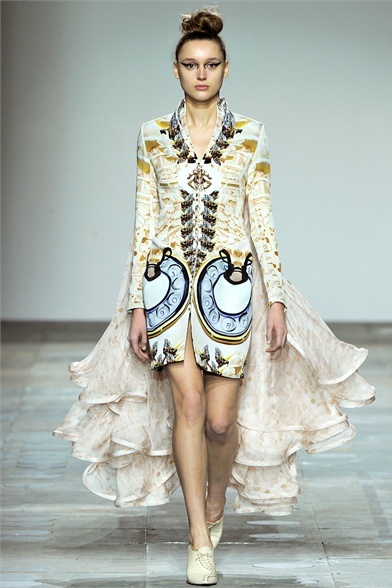 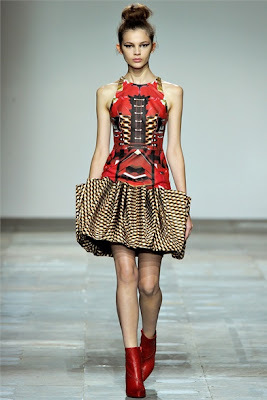 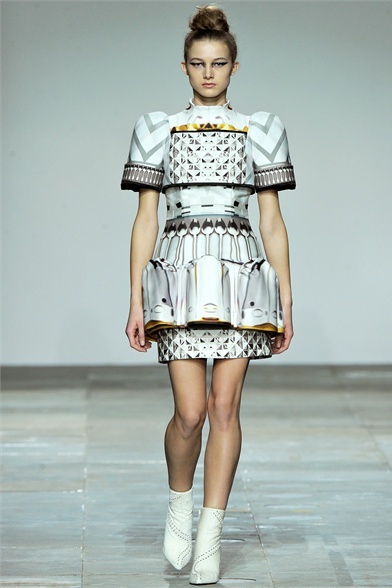 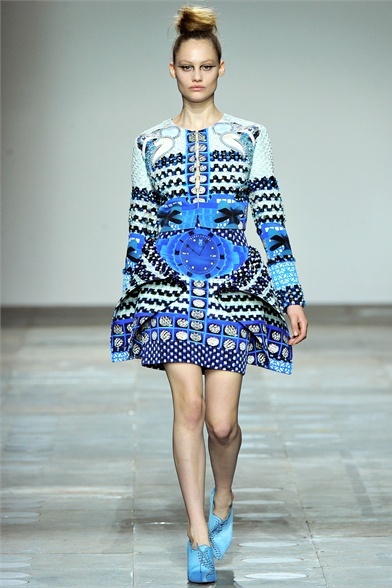 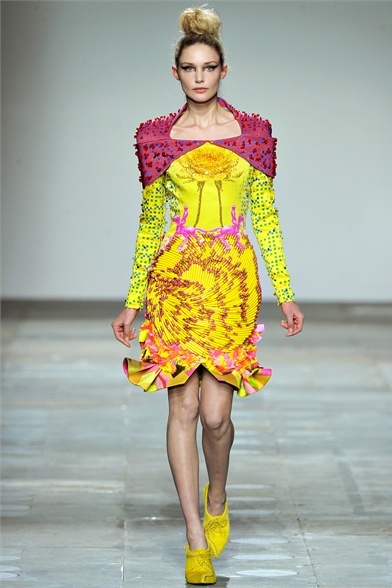 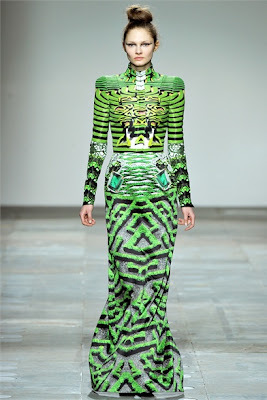 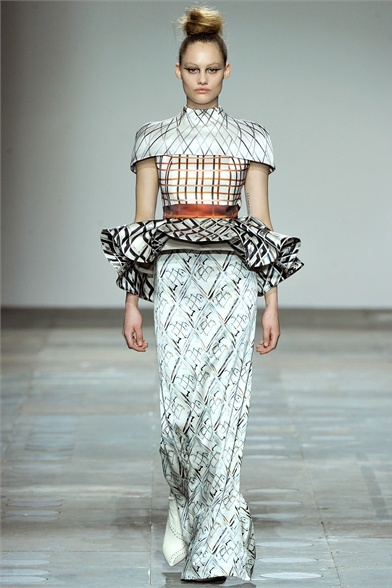 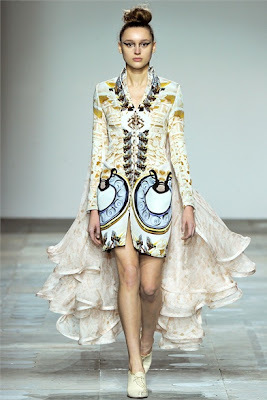 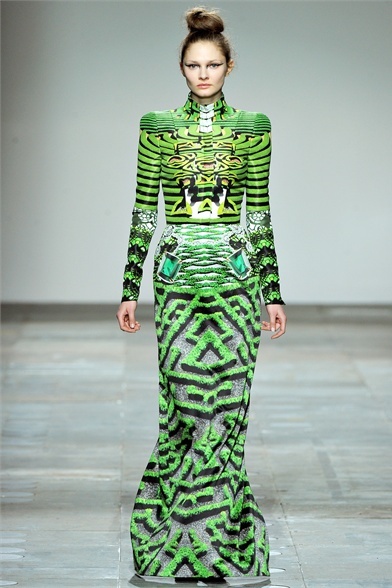 Mary Katrantzou is amazing so are her designs.